CALGARY, AB – Three breweries located in Calgary’s northeast have announced the release of their first collaborative ale. 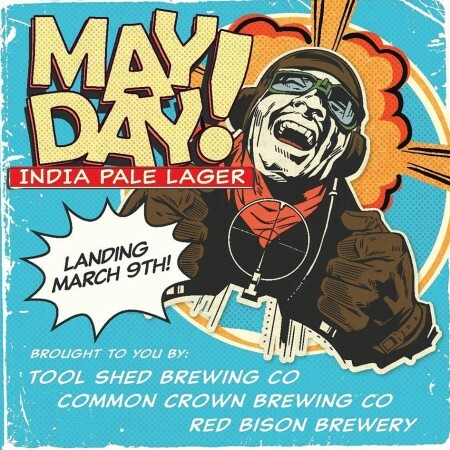 Common Crown Brewing, Red Bison Brewery & Tool Shed Brewing are banding together under the Brewmuda Triangle moniker to release MAYDAY! India Pale Lager. MAYDAY! will be launched on Saturday March 9th, with all three breweries hosting launch events in their respective taprooms featuring games, food, entertainment, and specials throughout the day. For more details, see the Facebook event listings.